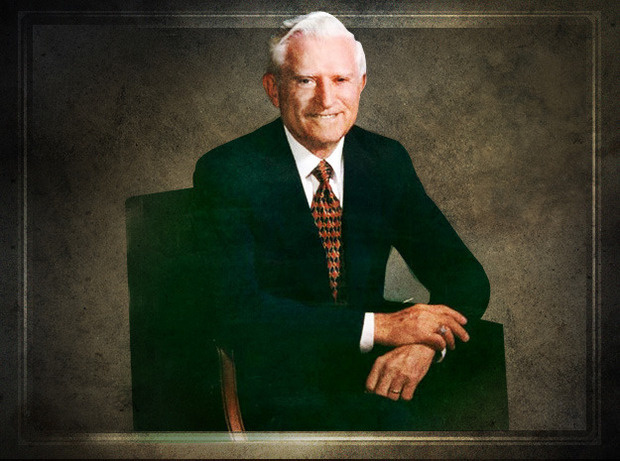 In memoriam: We mourn the passing of Gene Amdahl, Ralph Ungermann and other industry influencers. The networking and computing world, as well as the worlds of science and inventions, lost well-known pioneers as well as younger movers and shakers during 2015. Here’s a brief look back at these people and their contributions (see Slideshow version here). Worked on many IBM computers during two stints with Big Blue, but best known as chief architect of IBM System/360 mainframe and for later starting his own mainframe company that bore his name. Amdahl Corp., made faster and cheaper machines that were plug-compatible with IBM systems. Another claim to fame: Amdahl’s Law, which which says no matter how many processor cores you throw at a problem, there are some things you just can’t speed up. Full story. Working with patent holder George Devol in the 1950s, 1960s, Engelberger built the Unimate, a robotic arm used on a General Motors assembly line. Together, they started the world’s first robot manufacturer, Unimation. Engelberger’s robotics expertise earned him gigs with NASA, Japanese scientists and with a company building robots for use in hospitals, according to a New York Times obituary. Goldberg was a well-known Silicon Valley entrepreneur who started online music site Launch Media, served as an entrepreneur-in-residence at Benchmark Capital and was head of Survey Monkey, an online survey/polling company. He was married to Sheryl Sandberg, COO of Facebook. The Japanese game programmer and businessman oversaw the company during its highs and lows as the gaming industry shifted from dedicated consoles and PCs to mobile devices. During his early programming days at HAL Laboratory, he worked on games such as EarthBound and Kirby, and during his tenure at Nintendo the company released products such as the Wii and Nintendo DS. As the National Inventors Hall of Fame states, “Lechleider’s work turned the existing copper wire phone network into a high-speed broadband delivery instrument, allowing for the transmission of data at equal rates in both directions.” The electrical engineer’s work at Bellcore in the 1980s also moved beyond basic DSL to asynchronous DSL that avoided interference and supported carrier initiatives to transmit video across copper to try to compete with cable TV companies. Vulcan powers, from the 1964 start of the Star Trek TV Series to a 2013 film. Nimoy, also an accomplished singer, photographer and author, had an asteroid named after him in 2015. This pioneering computer scientist “was most known for his work on optimal algorithms and computational complexity applied to continuous scientific problems,” according to Columbia University, where he founded the CS Department following a period during which he led Carnegie Mellon’s CS Department. Traub’s early work in computer science took place before such a field was really even defined. His algorithms were used to solve problems in fields ranging from physics and math to Wall Street financials. Legendary car “kustomizer” whose vehicles starred in many TV shows during the 1960s, including the Batmobile, the Munster Koach and The Beverly Hillbillies truck. Barris was even buried in a coffin modeled after the Batmobile. 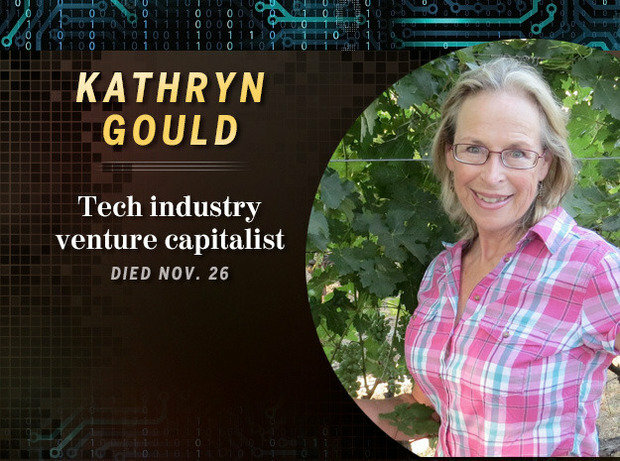 One of the first female venture capitalists, Gould left a mark on the tech industry through investments in early stage companies. Foundation Capital, which she co-founded in 1995, has backed enterprise ventures such as MobileIron and ShoreTel, as well as big-time IPOs like Netflix. Trained as a physicist, she got her big start in tech as an early Oracle employee and Larry Ellison’s VP of marketing. This young man helped to shake up the music world by starting up Grooveshark in 2006 with two University of Florida classmates at a time when such services were brand new. Grooveshark eventually attracted upwards of 35 million users, but the service shut down this past April with the co-founders acknowledging they made serious mistakes in not licensing much of the music uploaded to its site by users. Won a share of the 1964 Nobel Prize in Physics “"for fundamental work in the field of quantum electronics, which has led to the construction of oscillators and amplifiers based on the maser-laser principle." Laser technology played a major role across disciplines including telecom, medicine and entertainment. Townes, who has been a professor emeritus in physics at UC Berkeley, built on that pioneering work on the laser to later extend the technology’s use for astronomy. This television director and producer is credited with coming up with instant replay, initially for the annual Army-Navy football game played in 1963. His system used audio tones to identify when replay-worthy action took place. According to a New York Times obituary for Verna, the game’s play-by-play announcer warned viewers: “This is not live! Ladies and gentlemen, Army did not score again!” Verna wasn’t one to rest on his laurels either: He also holds patents for smartphone technology. Fresh from earning his Ph.D. in Mathematics from the University of Cincinnati in 1959, Shell published the Shell sorting algorithm, which puts elements of a list in a specific order, such as numerical. Later in his career, while working at General Electric’s new Information Services Department, his organization was among the first to adopt client-server computing. Built the biggest cable TV company in the United States, starting with the humble 1963 acquisition of a small cable company in Tupelo, Miss., then from many more buyouts after that. Comcast grew into a multibillion dollar business, going well beyond TV offerings to deliver telecom and Internet services. A former mechanic with an engineering mind, Hammond teamed up with marketing-and-sales oriented Ted Waitt to start up Iowa-based Gateway, which would become a PC giant in the 1990s. The business, which launched on a farm and shipped its PCs in spotted boxes marked like Holstein cows, was acquired by Acer in 2007 and is now based in California. The company over the years sold not just PCs, but servers, storage systems and TVs, too. Those attending Hammond’s funeral were encouraged to wear Iowa Hawkeye and Chicago Bears garb in honor of the big sports fan.